Dr. Stephen M. Fiore is Director, Cognitive Sciences Laboratory, and Professor with the University of Central Florida's Cognitive Sciences Program in the Department of Philosophy and Institute for Simulation & Training. He maintains a multidisciplinary research interest that incorporates aspects of the cognitive, social, organizational, and computational sciences in the investigation of learning and performance in individuals and teams. His primary area of research is the interdisciplinary study of complex collaborative cognition and the understanding of how humans interact socially and with technology. Dr. Fiore has been a visiting scholar for the study of shared and extended cognition at École Normale Supérieure de Lyon in Lyon, France (2010) and he was a member of the expert panel for the Organisation for Economic Co-operation and Development's 2015 Programme for International Student Assessment (PISA), which focused on collaborative problem solving skills. He has contributed to working groups for the National Academies of Sciences in understanding and measuring "21st Century Skills" and was a committee member of their "Science of Team Science" consensus study. As Principal Investigator and Co-Principal Investigator he has helped to secure and manage approximately $20 million in research funding. He is co-author of a book on “Accelerating Expertise” (2013) and is a co-editor of volumes on Shared Cognition (2012), Macrocognition in Teams (2008), Distributed Training (2007), and Team Cognition (2004). Dr. Fiore has also co-authored over 200 scholarly publications in the area of learning, memory, and problem solving on individuals and groups. Accelerated Expertise: Training for High Proficiency in a Complex World (Taylor & Francis, 2014). 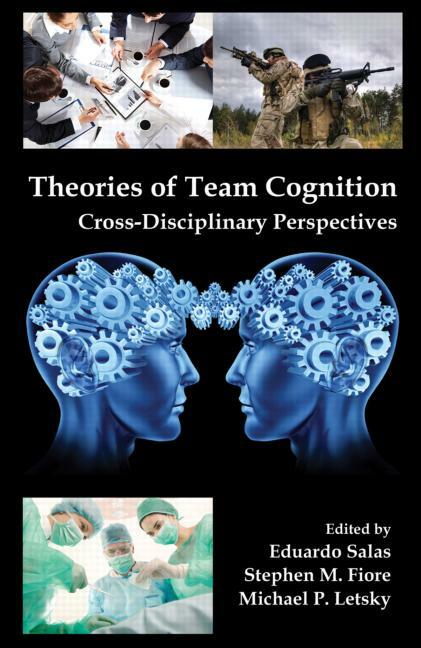 Theories of Team Cognition: Cross-Disciplinary Perspectives (Routledge, 2012). 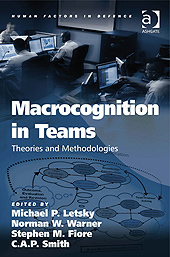 Macrocognition in Teams: Theories and Methodologies (Ashgate, 2008). Team Cognition: Understanding the Factors that Drive Process and Performance (American Psychological Association Press, 2007). Toward a Science of Distributed Learning (American Psychological Association Press, 2007). "Organizational and training factors that promote team science: A qualitative analysis and application of theory to the National Institutes of Health’s BIRCWH Career Development Program" appears in the April (2017) issue of the Journal of Clinical and Translational Science. "The impact of architecture on collective behavior" appears in the May (2017) issue of Nature Ecology & Evolution. "Problem solving phase transitions during team collaboration" appears in the February (2017) issue of Cognitive Science. "Technology as teammate: Examining the role of external cognition in support of team cognitive processes" appears in the October (2016) Issue of Frontiers in Psychology: Cognitive Science. "Establishing team knowledge coordination from a learning perspective" appears in the January (2016) Issue of Human Performance. "Prospects for direct social perception: A multi-theoretical integration to further the science of social cognition" appears in the January (2015) Issue of Frontiers in Human Neuroscience. "Deep Agent: A Framework for Information Spread and Evolution in Social Networks." Defense Advanced Research Project Agency. Principal Investigator: Ivan Garibay, Co-Principal Investigator: Gita Sukthankar, Stephen M. Fiore, Alexander Mantzaris. “Interactive Visualization in Support of Decision Making Under Uncertainty.” Office of Naval Research. Principal Investigator. “How do Architectural Designs Affect Collective Behavior?” National Academies of Science. Co-Principal Investigator. Army Research Lab and General Dynamics Robotic Systems. Robotics Collaborative Technology Alliance. "Social Cues and Behaviors in Human Robot Collaboration." Principal Investigator. "Social Dynamics Modeling and Simulation." Principal Investigator. "Team Shared Mental Models." Co-Principal Investigator.